Bernetta Adolph is a 66-year-old cancer survivor who recently recovered from two eye operations that brought her back from blindness. She had a mortgage with Wells Fargo, then got scammed by a guy who’s now in jail. She had hoped for a lower mortgage payment on her fixed annuity and Social Security. 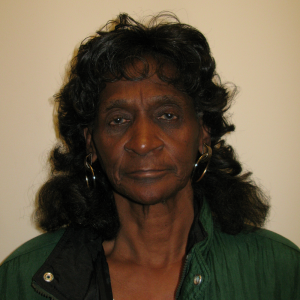 Instead, Wells Fargo refused her a loan modification after the scammer left her high and dry. Then, Wells sold her home at a foreclosure auction. Bernetta want to stay in her home, for which she can afford to pay an affordable loan modification once Wells Fargo rescinds the sale of her home and offers her a fair deal. This entry was posted in acce, bernetta-adolph, eviction, foreclosure, foreclosure-scams, photos, profiles, video, wells-fargo by admin. Bookmark the permalink.